One of the Philippines’ mobile telco, Smart Communications, Inc. (Smart), has earlier this week announced a strategic and exclusive partnership with global music streaming service Deezer to bring the full breadth of music experience to mobile users in the country through Deezer’s Premium+ service. According to the press release, with Deezer Premium+, more than 72 million Smart mobile subscribers nationwide will be able to enjoy unlimited web and mobile access to the most number of music tracks online and offline, all in high-quality and without the interruption of ads. 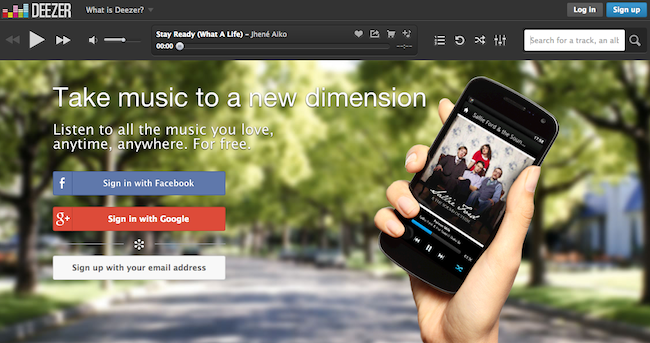 Typically, users can subscribe to Deezer through the Premium+ plan. This plan is available at US$5.99 a month and allows users to access their music offline. It also includes exclusive content such as competitions, pre-release album previews, and unlimited streaming. There will also be no ads popping up on your device or computer screen. Smart will soon announce affordable streaming rates and promotions with Deezer that both prepaid and postpaid subscribers can enjoy. With this partnership, Smart users will be able to purchase a Deezer Premium+ subscription simply with their prepaid or postpaid accounts. Deezer has always been taking the telco partnership approach when growing its reach in countries. Back in December 2013, Deezer partnered with Singapore mobile service provider, M1, to provide its post-paid users unlimited Premium+ access to Deezer’s music library at a special rate of S$5.99 per month. 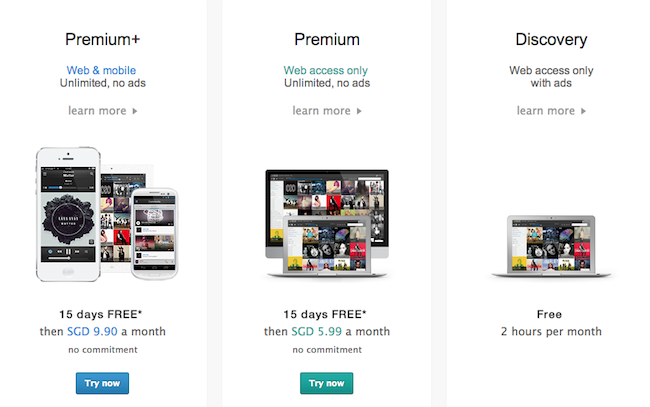 The usual fee for unlimited music streaming on Deezer is at S$9.90. The launch announcement in the Philippines came shortly after we reported that competitor Spotify has entered into a partnership with Coca Cola to launch in the country. Other than competing with Spotify, one of the largest music streaming site in the world, Deezer is also competing head on with some music streaming startups that have different business models, such as Amplify, Ndfy, and Radio Republic. On mobile devices, the Deezer app can be installed on iOS, Android, Windows Phone as well as Blackberry 10 smartphones and tablets. It can also be enjoyed using traditional desktop browsers in laptops and PCs.